Micah Brightwell, a native of Hamilton, NZ, has performed extensively across Canada and the United States. Growing up in Vancouver, British Columbia, Micah studied primarily with Marka Wilcox-Akins, and was named the youngest concertmaster of the Vancouver Youth Symphony Orchestra. Micah graduated from the Interlochen Arts Academy in 2006, with an award for Musical Excellence in Violin Performance. She holds a bachelors degree from the Cleveland Institute of Music, and a masters degree from Rice University, where she studied with Kenneth Goldsmith. Mrs Brightwell is currently working towards a masters of science in arts administration from the Metropolitan College at Boston University. As a specialist in contemporary music, she has appeared in concert with the Callithumpian Consort, Ludovico Ensemble, Acoustic Uproar, Collage New Music, Boston Modern Orchestra Project, Sound Energy Trio, ensemblenewSRQ, and the Rice University based New Music Ensemble, as well as with members of the Bang on a Can All- Stars, eighth blackbird, the Boston Symphony Orchestra, the Mark Morris Dance Group, and Ensemble Modern. Micah is also a classical chamber musician, having worked with artists such as Norman Fischer, Ivo-Jan van der Werff, Thomas Jaber, Brian Connelly, and Kenneth Goldsmith. Other chamber music studies include Mark Sokol, Donald Weilerstein, Peter Salaff and Samuel Rhodes, as well as members of the Cavani String Quartet. Mrs Brightwell attended the Tanglewood Music Center as an orchestral fellow and a member of the Fromm String Quartet, the Summer Institute for Contemporary Performance Practice at the New England Conservatory, and the Bang on a Can Summer Music Festival, in residence at MassMOCA. She has worked with composers Marti Epstein, John Williams, Gunther Schuller, Jo Kondo, Jonathan Dawes, Alvin Lucier, Sean Shepherd, Jeffrey Mumford, Felipe Lara, Sir Harrison Birtwistle, Nicholas Vines, Roger Miller, and Oliver Knussen. 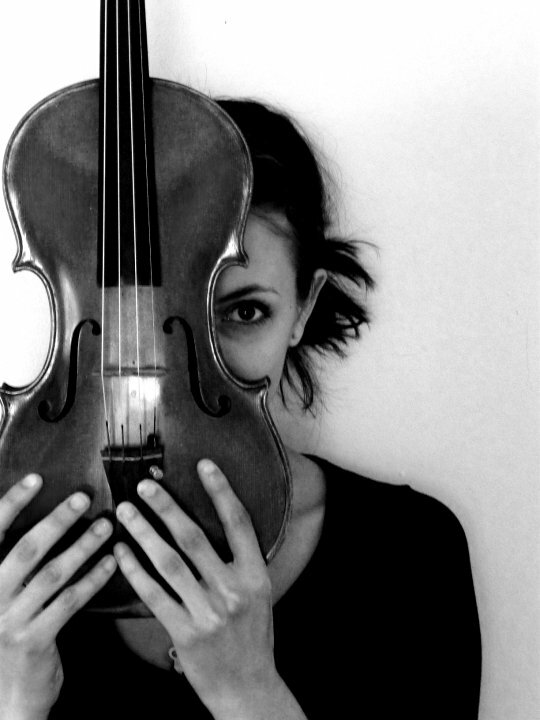 Violist Sam Kelder is a multifaceted performer of contemporary music and proponent of composer-performer collaborations. Beginning his violin studies at the age of six in Houston, Texas, Sam grew up with an inquisitive mind for the arts and a passionate dedication for sharing music with many communities. Described as “dynamic and committed” by the Boston Globe, Sam performs regularly in New England with ensembles A Far Cry, Boston Modern Orchestra Project, Guerilla Opera, Callithumpian Consort, Sound Icon, and various regional symphony orchestras including Cape Cod Symphony, Atlantic Symphony, Phoenix Orchestra Reborn, and the New Bedford Symphony. In addition to local projects, he has also performed as the featured artist at Third Practice Electroacoustic Festival and as soloist at New York City Electroacoustic Music Festival. Sam holds a B.M. from the University of Houston, M.M. from Mannes the New School for Music, and graduated May 2017 from doctoral studies at Boston University as teaching assistant to Michelle LaCourse. Other major teachers and influences include Wayne Brooks, Karen Dreyfus, Kyung Sun Lee, Laurie Smukler, and Bayla Keyes. Sam has had the great fortune to work with many prominent living composers such as Georg Friedrich Haas, Beat Furrer, Hans Abrahamsen, Zosha Di Castri, Eric Wubbles, Olga Neuwirth, Krzysztof Penderecki, Roger Reynolds, Nico Muhly, Philippe Leroux, Michael Finnissey, Nick Vines, Joan Tower, William Bolcom, Derek Bermel, and John Harbison. 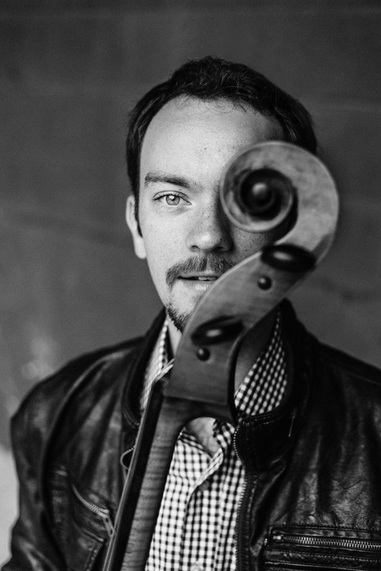 Cellist Benjamin Swartz hails from Richmond, VA, and has concertized extensively in the United States and Europe with a particular emphasis on historically-informed performance, electroacoustic collaboration, and the exposure of neglected repertoire. Equally at home on cello, Baroque cello, and viola da gamba, he is gaining increased recognition for multi-instrumental virtuosity spanning the Ars Subtilior to the present day. Currently a resident of Boston, he performs as cellist with Sound Energy, gambist with Les Enfants d'Orphée, and teaches at South Shore Conservatory, the Community Music Center of Boston, and the Killington Music Festival. An honors graduate of the double-degree program at Johns Hopkins University (BA/MA, American history) and Peabody Conservatory (BMus, cello), Ben was a recipient of both the Peabody Career Grant and the Johns Hopkins Woodrow Wilson Undergraduate Research Fellowship. As a Woodrow Wilson Fellow, he studied the historically-informed performance practice of the Bach Cello Suites with Anner Bijlsma and Pieter Wispelweij on period and modern instruments, respectively, in Amsterdam, Holland. Ben later earned his postgraduate degree at the Royal Academy of Music in London (MMus with Merit in cello and historical performance) where he was awarded the coveted Nancy Nuttall Early Music Prize. Ben recently returned from a year in Karlsruhe, Germany, as a Deutsche Akademische Austauschdienst Stipendiat (DAAD Scholar) where he researched music theory (proportional ratio systems of extended Just Intonation) and performed as a chamber musician throughout Europe. As an advocate for 21st-century music, Ben maintains close working relationships with many living composers, including Tom Williams, Noam Faingold, Daniel J. Miller, Alex Brusentsev, Marti Epstein, and Jeffrey Mumford. Performances of electroacoustic repertoire include Tom Williams’ “Dart” (2013) at the International Festival for Artistic Innovation in Leeds, the boombox works of Jacob ter Veldhuis, and a recent performance of Steve Reich’s “Different Trains” in London. A continuing project is to develop the repertoire and performance practice for Icelandic instrument-builder Halldór Úlfarsson’s “Halldorophone #5.” In the acoustic realm, Ben’s London-based piano trio gave the British premieres of several works by Nikolai Kapustin, and he recently recorded the complete Cello Suites by Benjamin Britten to commemorate fifty years since the premiere of the First Suite in 1965. An active studio artist, he has two dozen film & video game soundtrack credits to his name, and has recorded albums with Bent Knee, the Ben Levin Group, and Tredici Bacci. He has performed as a member of the Aspen Philharmonic Orchestra, Atlantic Symphony, Baltimore Baroque Band, Boston Chinese Musicians Association, Boston Microtonal Society, Boston Modern Orchestra Project (BMOP), Bridgeport Symphony, East Coast Scoring, Equilibrium Ensemble, Hub New Music, Ibis Ensemble, Les Enfants d'Orpheé, Odyssey Opera, Orchestra of Indian Hill, Peabody Concert Orchestra, Royal Academy Symphony Orchestra, Royal Academy Viol Consort, Richmond Philharmonic Orchestra, Verdant Vibes, and the Video Game Orchestra (Boston) in venues such as Boston's Symphony Hall, the Duke's Hall at the Royal Academy, Hamburg's Elbphilharmonie, the Koelner Philharmonie (Cologne), the Kennedy Center, the Kimmel Center, and Ozawa Hall (Tanglewood). His festival credits include Aspen, Tanglewood, Kneisel Hall, London Master Classes, Lucerne, Aurora, and Manchester, and he has studied chamber music with members of the Juilliard, Brentano, Shanghai, Amaryllis, and Fauré quartets. Ben's major teachers have been Alison Wells and John Moran in Baltimore, Mats Lidström and Jonathan Manson in London, and Anner Bijlsma and Pieter Wispelweij in Amsterdam. 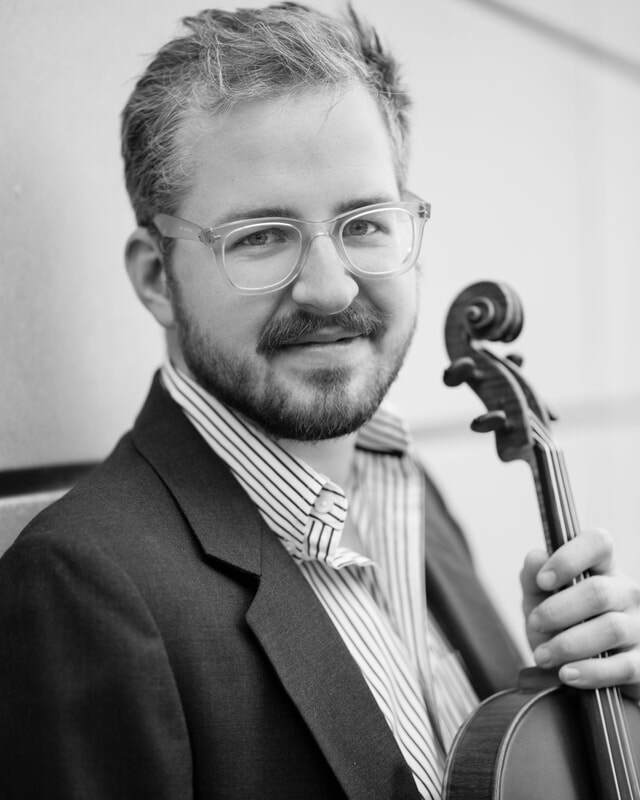 A much sought-after teacher and clinician in the Boston area, Ben currently serves on the cello and chamber music faculties at the Boston Center for the Arts (Community Music Center of Boston), South Shore Conservatory, and Ipswich public schools. During the summer he is artist-faculty at the Killington Music Festival in Rutland, Vermont, and performs contemporary orchestral works at the Lucerne Festival (Switzerland). He teaches from a method book of his own authorship, The Essential Technology of the Cello: A Textbook of the Efficient Cellist (2016).